As the holidays approach, Nintendo's new console looks to have a big presence at retail. If you're on the fence about whether or not to jump on the Wii U bandwagon, a store near you might soon be able to offer a hands-on experience with the new console. As the Wii U's November 18 launch date nears, Nintendo is pushing a whopping 5,000 Wii U kiosks to retailers nationwide. Stores like Target, Best Buy, GameStop, and Wal-Mart are all on the list to receive the demo stations from Nintendo. The Wii U's considerable aesthetic similarity to the original Wii - save for the tablet controller - combined with its nearly identical name could very well lead to confusion among ill-informed customers. 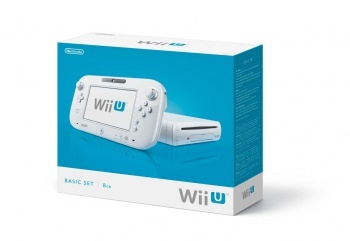 However, after seeing the console in action, it should become clear that the Wii U is indeed a step up. Unfortunately, only a portion of those 5,000 demo stations will offer the chance to actually play the console, with the rest serving just video content of new Wii U titles. It's unclear just how many playable consoles will be distributed to stores, but as the busiest shopping season of the year approaches, the more potential customers that get to go hands-on, the better.